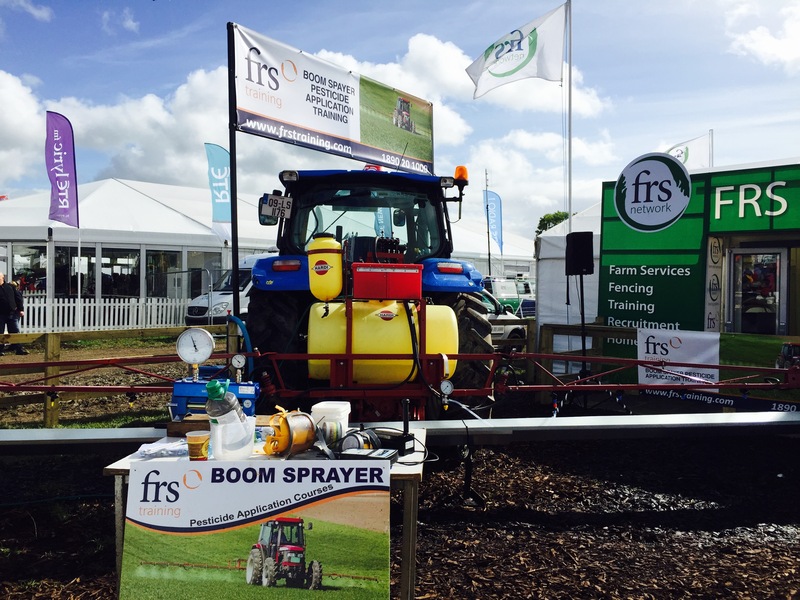 Compulsory spraying training and testing will be demonstrated at the FRS Training and HSA Farm Safety Demonstrations at the Grass and Muck highlighting the main health and safety elements of pesticide spraying, handing and sprayer operation and testing. Make sure you are compliant and come along for all the information you need. 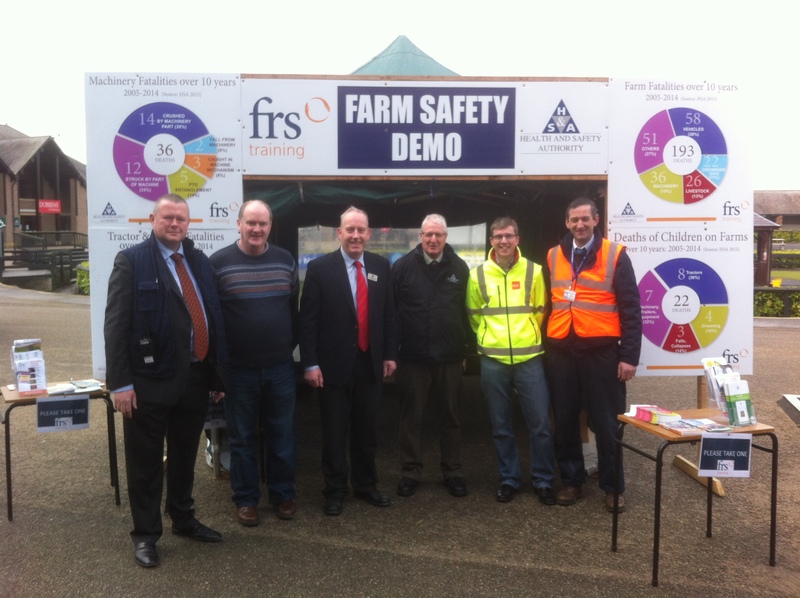 FRS Training (Farm Relief Services), and the HSA (Health and Safety Authority) are rolling up their sleeves and mucking in to bring practical interactive farm safety demonstrations to the forefront of this year’s FTMA Grass and Muck on the 12th of May in Gurteen, Co. Tipperary. The organisations will be focusing on three farm hazard areas, safe handling of bales and crush zones , PTO safety and spraying compliance in an interactive and engaging way to stress the everyday dangers and show farming families how safety can be improved down on the farm. An area of focus during the event will be on the safe operation of machinery when handling bales with emphasis on ‘crush zones’ during this task and preventing impact injuries. 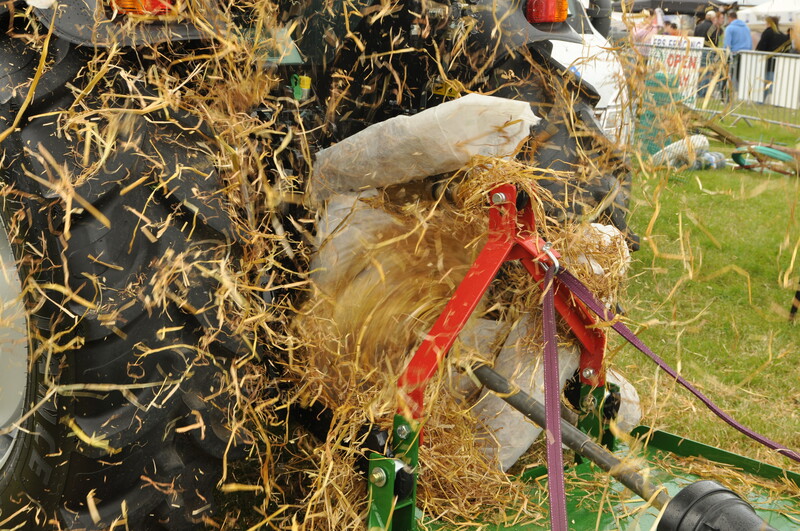 Topics such as the right equipment and attachment, stacking and de-stacking of bales, transporting and loading bales, will form part of the demonstrations to help farmers to control the hazard and minimise the risks. Information on managing workload, stress and pressure will also be available as these link strongly to the cause of accidents. PTO Demonstration set up and ready to show the consequences of an unprotected PTO by FRS Training and the HSA at the FTMTA Grass and Muck on May 12th. Make sure to go along to find out ways to improve farm safety on your farm and to see the consequences live. Turning to an area that farmers need to be compliant in and protect their health and the environment is pesticide spraying and sprayer testing, which will be demonstrated on the day. Along with the safe operation of PTO’s the farm safety demonstrations will cover many areas that are important for farmers to know. There was a 40% decrease in the number of fatalities last year compared to the year before, but farming remains the most dangerous occupation in Ireland. Around 2,500 non-fatal accidents causing injury occur on farms annually, which are not widely communicated, but often heavily impact on the continuation of the farm work and the farmer. FRS Training and the HSA are very proactive when it comes to bringing public awareness to farm safety and strives to reduce these figures once again by bringing these live demonstrations to farmers. The consequences of an unprotected PTO demonstrating the shredding impact that can happen, which will be demonstrated by FRS Training and the HSA at the FTMTA Grass and Muck on May 12th. Make sure to go along to find out ways to improve farm safety on your farm. Preparations are currently underway for the FTMTA Grass and Muck which is taking place on May 12th so be sure to head along to the Farm Safety Demonstration stand on the day. 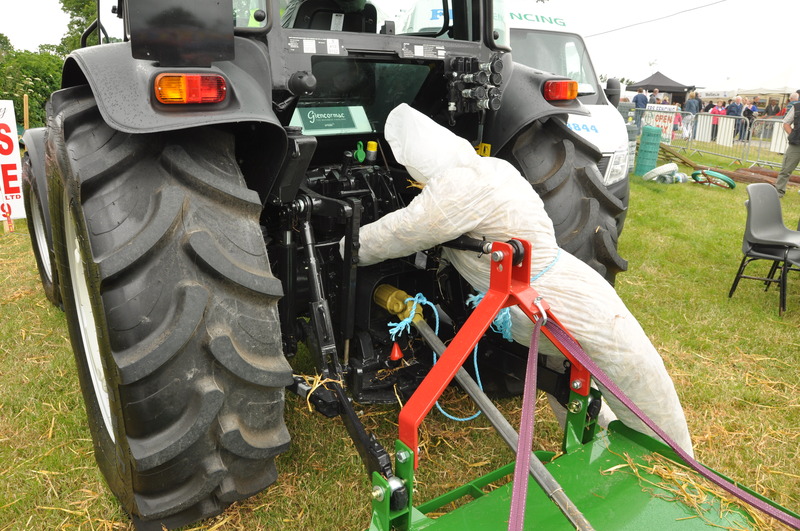 There will be plenty of practical demonstrations ongoing, including safe bale handling, Tractor PTO demos, and pesticide sprayer safety demos as well as some excellent general farm safety advice. On the run up to the show, FRS is giving away a set of tickets to the Grass and Muck. To be in with a chance of winning a set of these tickets visit www.facebook.com/FRSnetwork Like, Share and Tag two friends on the post to be entered into the draw.